A record-breaking ‘concreteberg’ as heavy as a blue whale has been discovered in a north London sewer. Human skeletons from almost 3,000 years ago have been found by a water company working to protect a rare chalk stream. Thames Water has unveiled its renewed business plan after the industry regulator said its previous efforts were not good enough. Britain’s biggest water company, Thames Water, is among four firms taken to task by regulator Ofwat over their business plans, with just three companies given the green light. 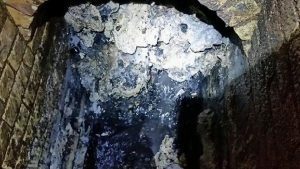 Nine in 10 restaurants and takeaways in London are feeding sewer-clotting “fatbergs” by letting grease, oil and scraps slide down their waste systems.